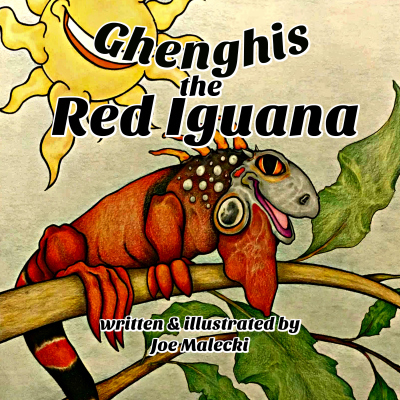 In Ghenghis the Red Iguana, we have two best friends on an adventurous journey of exploration. Using Ghenghis’ imagination and Doc Crows invention, this dynamic duo travel the globe in search of new friends. Their first adventure takes them to another continent in search of Ghenghis’ favorite animal. Ghenghis and Doc Crow will depend on one another and learn about the animals in each new environment they stumble upon.